Influential jazz drummer Steve Reid passed away in New York city last night (April 12) at the age of 66. His close friend, DJ Gilles Peterson, broke the news this morning via his Twitter account, posting, "Devastated by the news that my friend drummer Steve Reid passed away last night in New York - a true inspiration who will be greatly missed." Reid, who began drumming when he was 16, died following a battle with cancer. 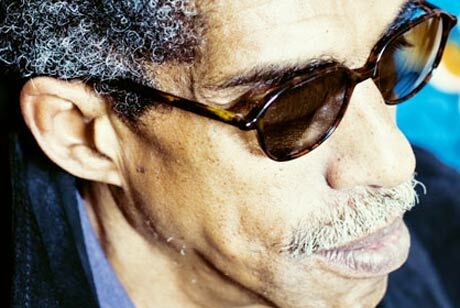 After beginning his career drumming with Quincy Jones, he went on to drum with the likes of Miles Davis, James Brown, Fela Kuti and Ornette Coleman. He was also a session musician for Motown Records, and in recent years he released four albums with Kieran Hebden, aka Four Tet. In a statement made in 2008, Hebden described Reid as his "musical soulmate." Following Reid's passing, Hebden called the drummer "one of my great friends and the most wonderful musicians I have ever encountered. The music and adventures we shared have been some of the most happy and meaningful experiences I've ever had. He continued by calling Reid "a true inspiration. He lived a great life and gave us incredible music. I'll miss him forever." Exclaim! was fortunate enough to talk to Reid in 2008. You can read our feature on the musician here. Thanks to Gigwise for the tip.